In 2016, 193 UN-member States came together to sign the Sustainable Development Goals (SDGs) initiative, acknowledging that the profound changes that societies are going through require efforts towards common goals. Since then, the 17 SDGs have become a tangible guide to mobilize private, public and civil society. Many organizations, including APC, have committed to this partnership for a collective good. Furthermore, exciting initiatives have arisen to promote them. 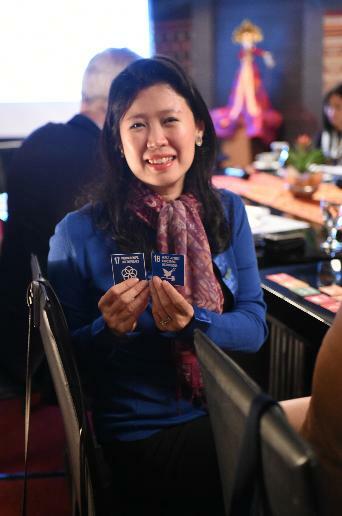 Sharing APC’s belief that there is more that unites us than divides us, APC Co-founder and member, Cherie Nursalim, introduced an innovative approach to present the UN goals, the SDG Pyramid to Happiness. 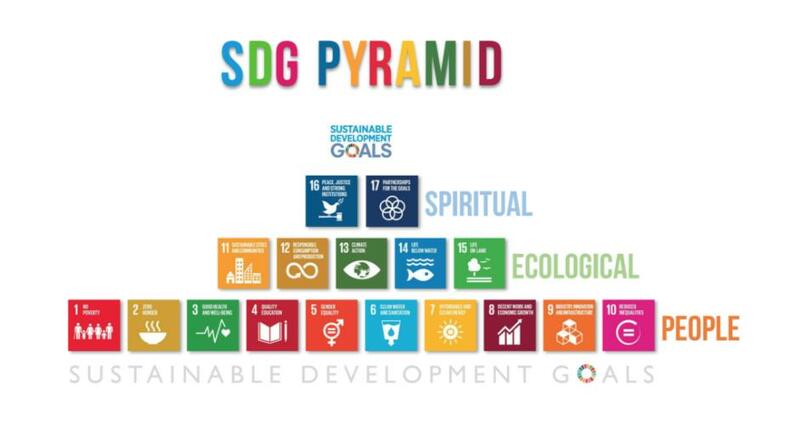 This pyramid framework is jointly recommended in a paper with UN SDSN Professor Jeffrey Sachs from Columbia University and Dean Xuelan from Tsinghua University. It is based on the Balinese Philosophy “Tri Hita Karana”, meaning the three ways to happiness harmony of people with people, harmony of people with nature and harmony of people with the spiritual. This philosophy is It also reflected in the roots of other cultures and philosophies that have guided the lives of many communities for centuries. Each of the 17 UN goal can be placed in one of three tiers, “the first 10 goals align with social issues, the next five goals on ecological challenges and the final goals on peace and partnership are linked to spiritual values,” says Ms. Nursalim. 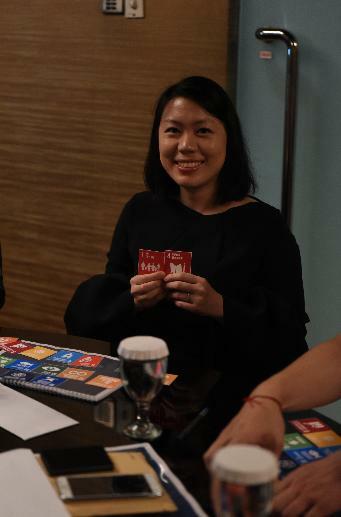 At APC 2016 annual event in Jakarta, – the SDG Pyramid playcards were introduced for members to internalize the 17 Goals according to the SDG Pyramid framework. 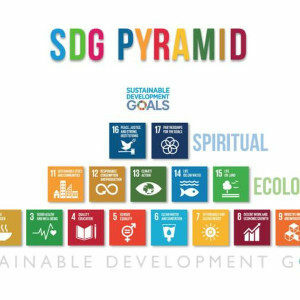 _Members were able to identify – the alignment of their current projects to the goals, making it easier for all to understand where their work fit in to the overall objectives and also establish possible areas for collective contribution –to achieve these sustainable goals. APC’s projects are also committed to promote philanthropic collaboration. _The Cross-Border Giving Guide is one such project that seeks to provide a practical guide for philanthropists who give across borders, especially in China, Myanmar and Indonesia. Likewise, the research on Talent Development in the Philanthropy Sector, is yet another example of APC’s commitment to Goal 17, Partnerships for the Goals. A major APC project -is the ASEAN Community Impact Fund. Its goal is to accelerate social progress in Southeast Asia through high-impact interventions in the areas of Education to Sustainable Livelihood, Stunting, and Community Development. Most of APC’s efforts through this philanthropic fund seek to achieve a harmonious state between oneself and people. Nevertheless, the fund also contributes to each of the three harmonies shown in the pyramid, particularly addressing the Goals on Hunger, Health, Quality Education, Water and Jobs.